Even having the world’s best smartphone display is no guarantee that it would not suffer from any issues. Users have often complained about overly saturated colors on OLED screens. According to user complaints in Samsung’s community forum and XDA Developers forum, many Galaxy S9 Plus owners are experiencing color banding or black crush screen issue. The problem is most severe watching videos at lower brightness settings. Given Samsung’s issues, less experienced OLED panel makers are likely to have even more difficulties in bringing OLED displays to commercialization. 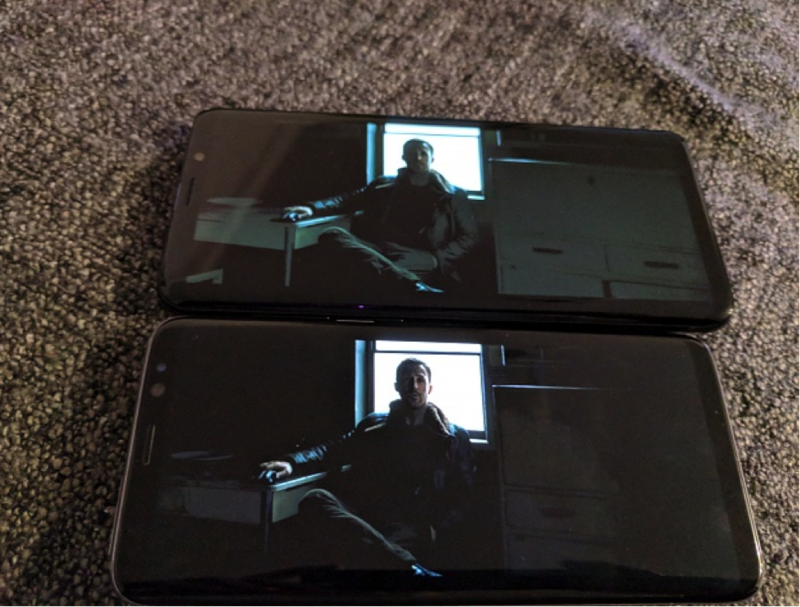 In the black crush screen issue, the affected phones show blocks of black or pixelated images instead of showing crisp details in dark sections of videos. The screen becomes unable to display different shades of dark colors, and the details are lost similar to a compressed file. The problem seems to affect only the larger Galaxy S9 Plus, as there have been few complaints from the Galaxy S9 owners. It appears to be a software issue rather than hardware one. Google’s Pixel 2 handsets that feature LG’s P-OLED display had suffered from similar problems after a software update last year. Samsung responded to the Galaxy S9 Plus’s black crush screen issue saying that customer satisfaction was “core to our business and we aim to deliver the best possible experience.” Samsung said it was aware of “a limited number of reports” of the Galaxy S9 Plus displaying dark colors “differently than intended.” Samsung encouraged the affected customers to reach it directly at 1-800-SAMSUNG. It is still unclear how widespread the issue is. Only a small number of Galaxy S9 Plus users appear to be affected. Samsung should roll out a software update to fix the problem in the next few days. Galaxy S9 and S9 Plus owners have also complained about many other issues. One Galaxy S9 Plus owner said on Reddit that their phone’s screen unexpectedly turned green when they unlocked it using the fingerprint. The display kept turning on green/black even after repeated attempts. When the user forced reset the handset, it “restarted in a full green screen.” Another user complained that they were watching a YouTube video when the left half of their Galaxy S9’s display turned purple. The purple box remained there even after restarting the phone, but it doesn’t appear in screenshots. In another case, a Galaxy S9’s camera started behaving like crazy in the super slow-mo mode.